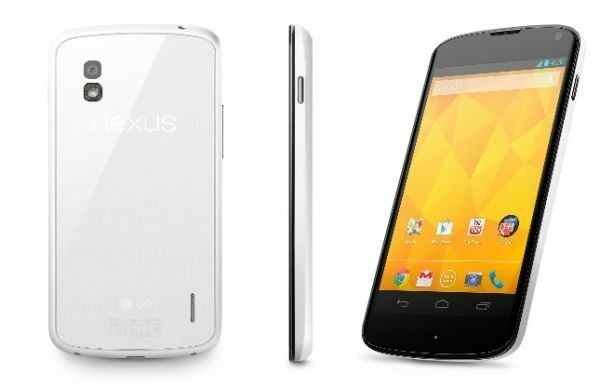 The White Nexus 4 hit the Google Play Store a few days ago and already it has sold out, this proves this is one of the most sought after smartphones on the market. There were reports of shipping problems after ordering this handset, please do read on for the answer. Because of its popularity the pre-order number went up very fast indeed and the White Nexus 4 had a shipping problem, a few customers may have received tracking information mentioning the order may have been intercepted in transit for return back to its origins according to Droid-Life. If you have not had an email by Google please do not panic, because they say that it was only a few customers that received the wrong tracking number on May 31st and June 3rd that stated their White Nexus 4 was being sent back to the sender. The email sent out to those that ordered the White Nexus 4 states that the tracking number should be disregarded, a new shipping tracking number will be issued, please do let us know if you received the wrong number and if you have had the new email confirming the mistake. The wrong tracking number will NOT interfere with your delivery of your white Nexus 4; you should receive your handset anytime now if you haven’t already got it. Please do let us know if you had the tracking number issue, we would love to know if this was for the 8GB or 16Gb white nexus 4? I am having trouble with that exact problem. I ordered the 16gb. It was supposed to be delivered today, but never was.